Penn Station shooting: Police near station shoot man armed with hammer. 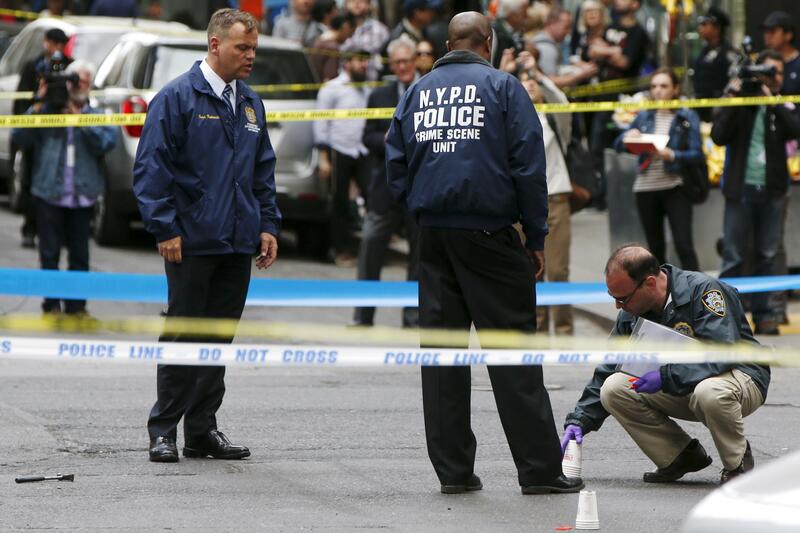 NYPD police at the scene where a man armed with a hammer (lower left) was shot by an officer. The suspect, an image of whom had been captured by surveillance cameras and released by police Tuesday, was killed at the scene near West 37th Street and Eighth Avenue around 10 a.m. Wednesday, sources said. Sources said he tried to attack a female officer and was shot. The New York Post says the suspect is a 30-year-old named David Baril. NBC New York reports that he was killed, but other outlets have not yet confirmed a death.